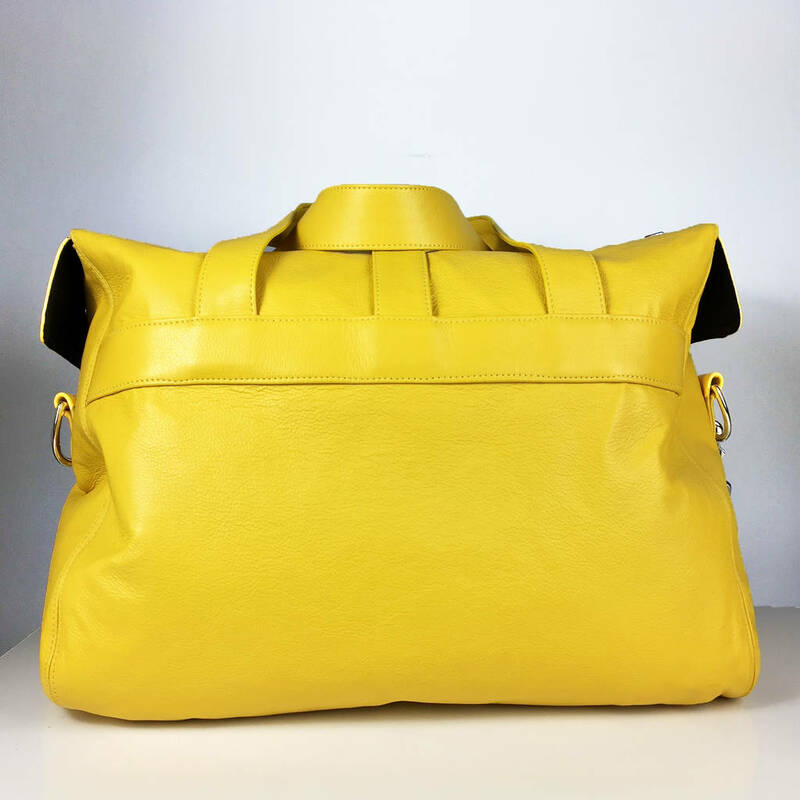 Hand-crafted in our South Devon studio the luxurious Overnight Bag is large enough to hold all those essential items required for a 1-2 night stay. 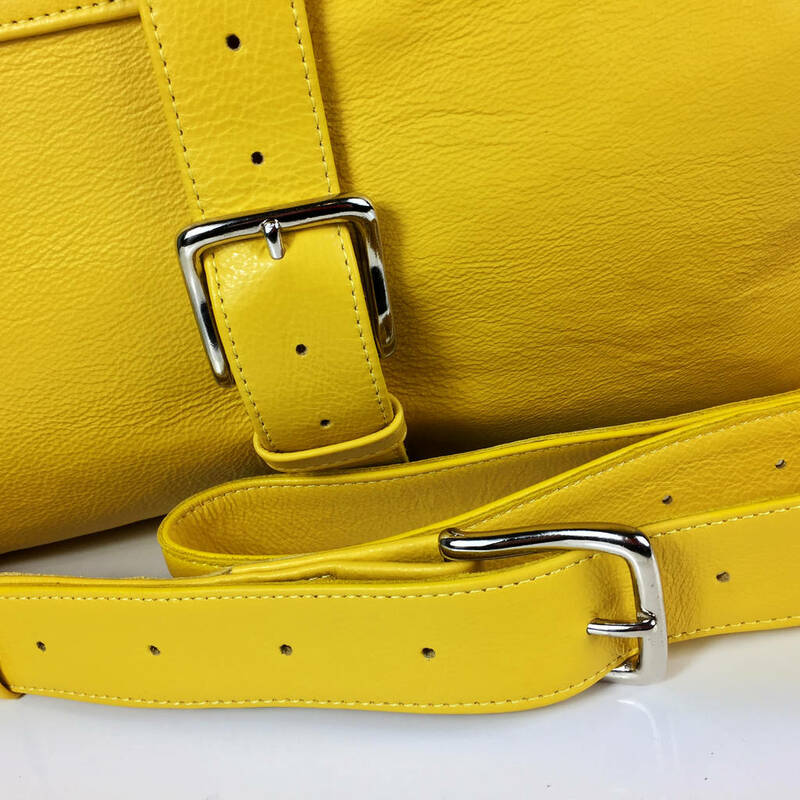 Made from striking yellow leather the Overnight Bag features chunky nickel fittings with a substantial metal zipper and a detachable, fully adjustable belt style strap. It is lined with black cotton twill and also has a handy inside zip pocket. Stylish and practical - this is the ideal travel companion for when a large travel bag is just too much! 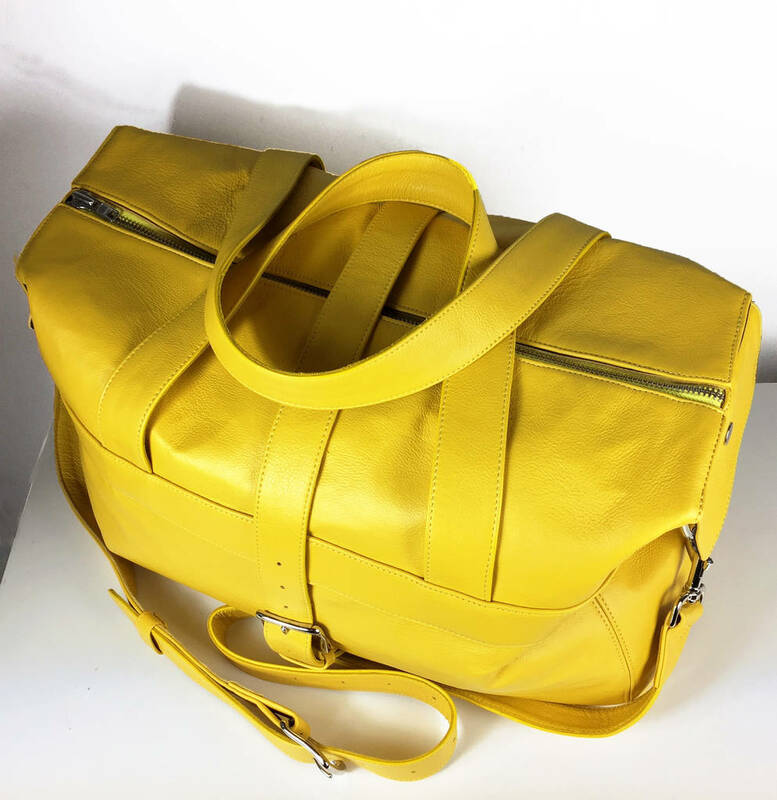 The Overnight bag is also ideal for flying as the size sits well within the current hand baggage allowance. 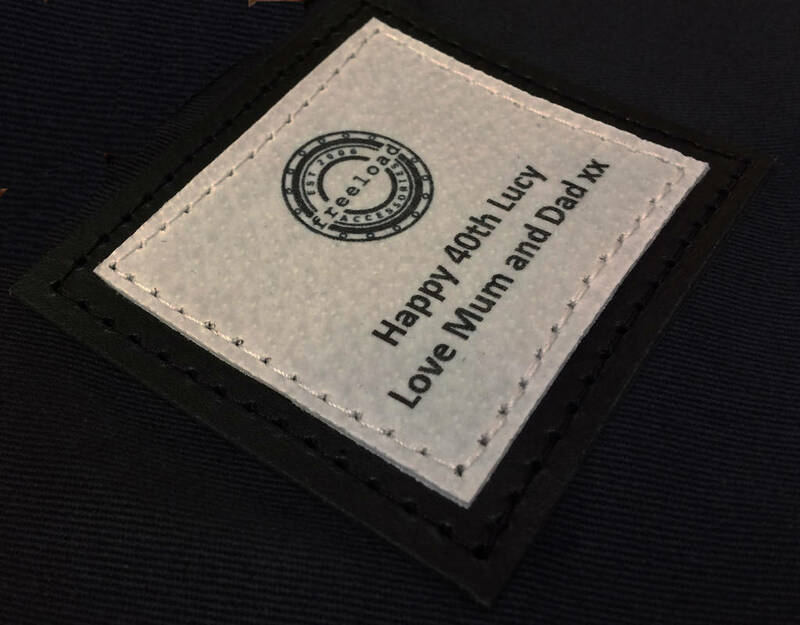 If purchasing as a gift for someone special, why not add an interior label with your own personal message? Just enter your message on the right hand drop-down menu. 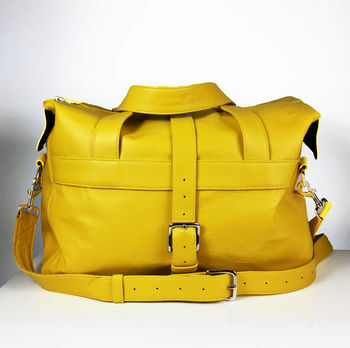 Available in red, marine blue, yellow and rustic brown. 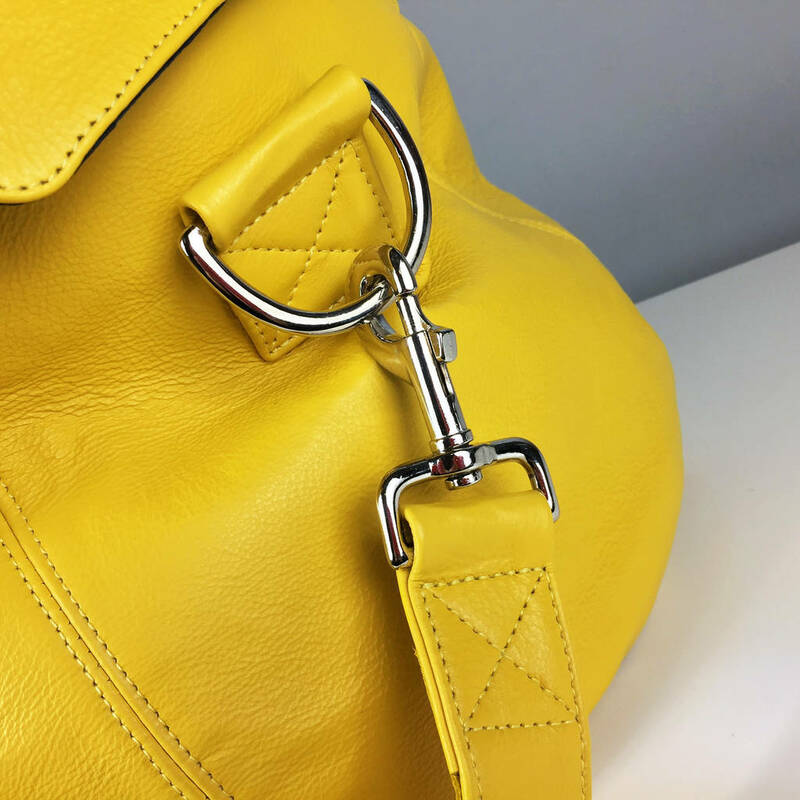 All our leather is responsibly sourced directly from an Italian tannery where it is rigorously tested for strength and durability. 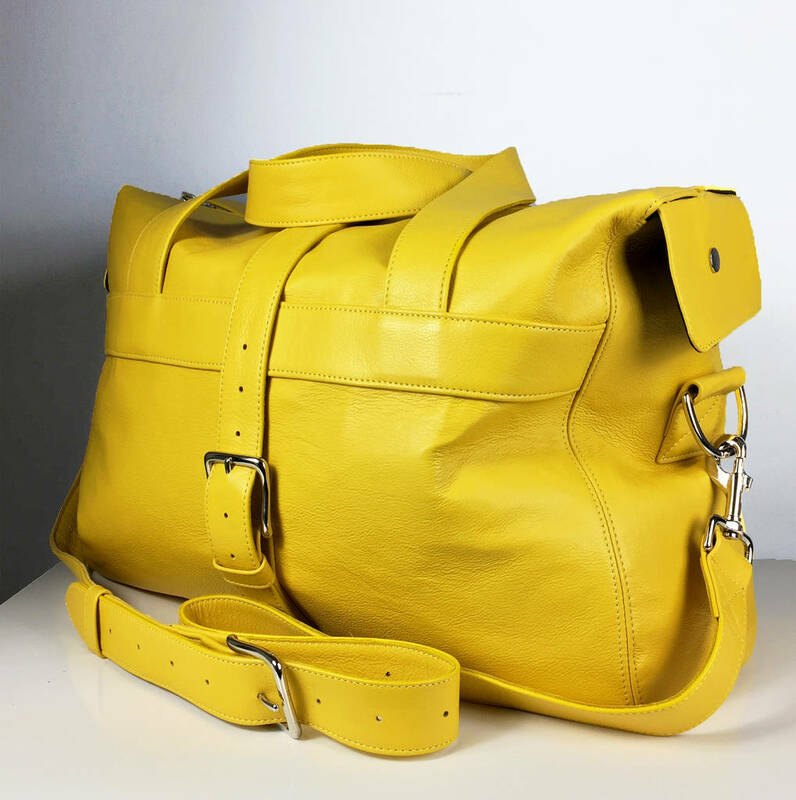 The tannery also comply with strict EU regulations and directives regarding chemical use during the tanning process.